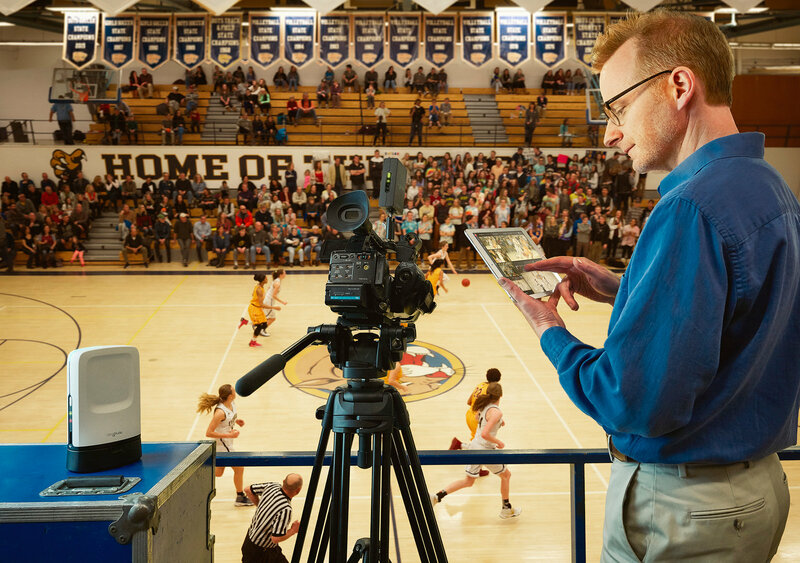 LAS VEGAS, April 24, 2017 – Sling Media L.L.C., a subsidiary of DISH Network Corp., delivered a new standard in multi-camera and live video production with the introduction of its groundbreaking SlingStudioTM system. 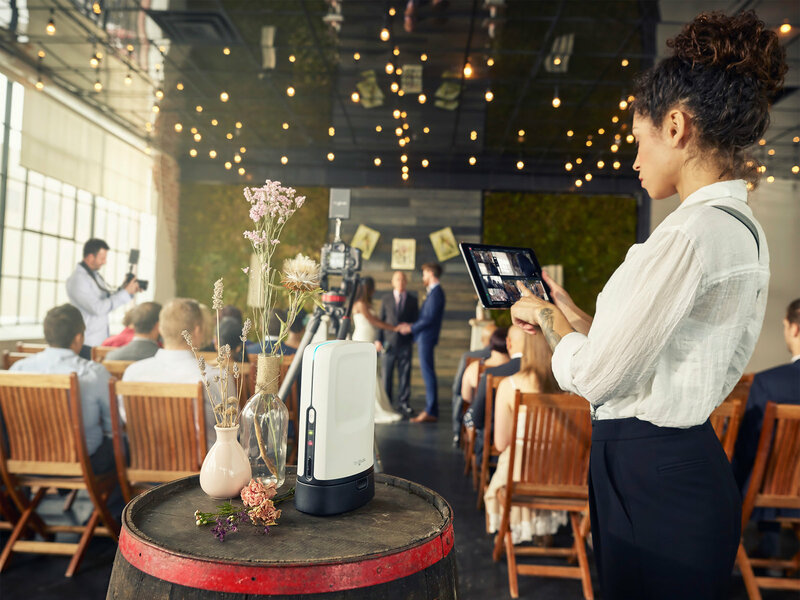 Starting at $999, SlingStudio is the industry’s first affordable, wireless, portable multi-camera production solution that lets users of all skill levels record, monitor and edit four HD video inputs from up to 10 connected cameras and smartphones. 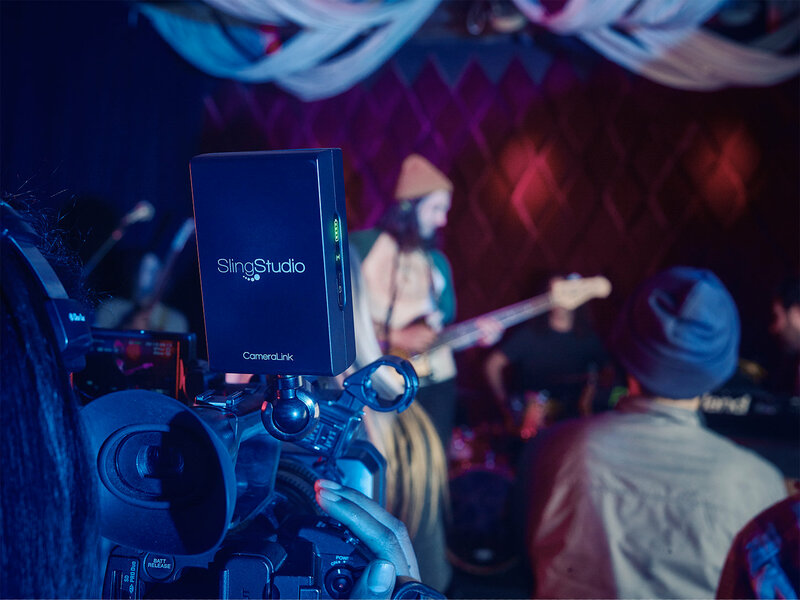 SlingStudio can output live video to streaming services like Facebook Live and YouTube, and simultaneously record to a USB hard drive, USB SSD or SD card for post-production. 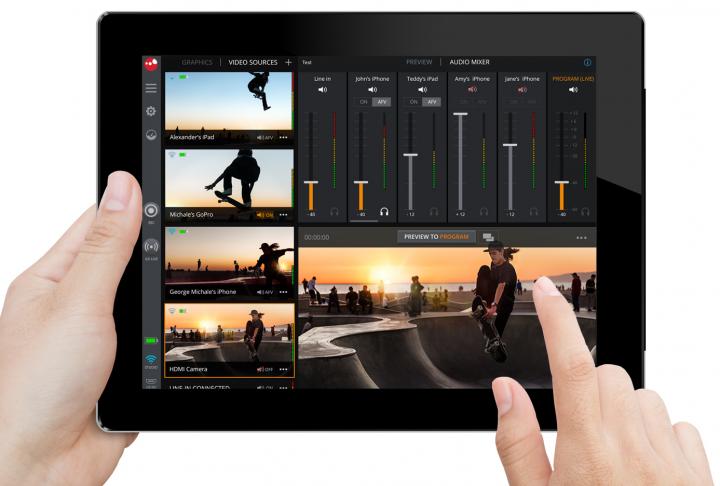 The SlingStudio system requires the SlingStudio hub and free Console app for iPad. Optional accessories include a Battery, USB-C Expander and CameraLink. The CameraLink wireless adapter plugs into any HDMI-enabled DSLR or video camera to wirelessly transmit 1080p60 video to SlingStudio. Place an order for SlingStudio (US$ 999) at B&H Photo Video. Setup: Capture video from different angles by wirelessly connecting up to 10 video sources (DSLR cameras, video cameras, smartphones, personal computers, etc.) 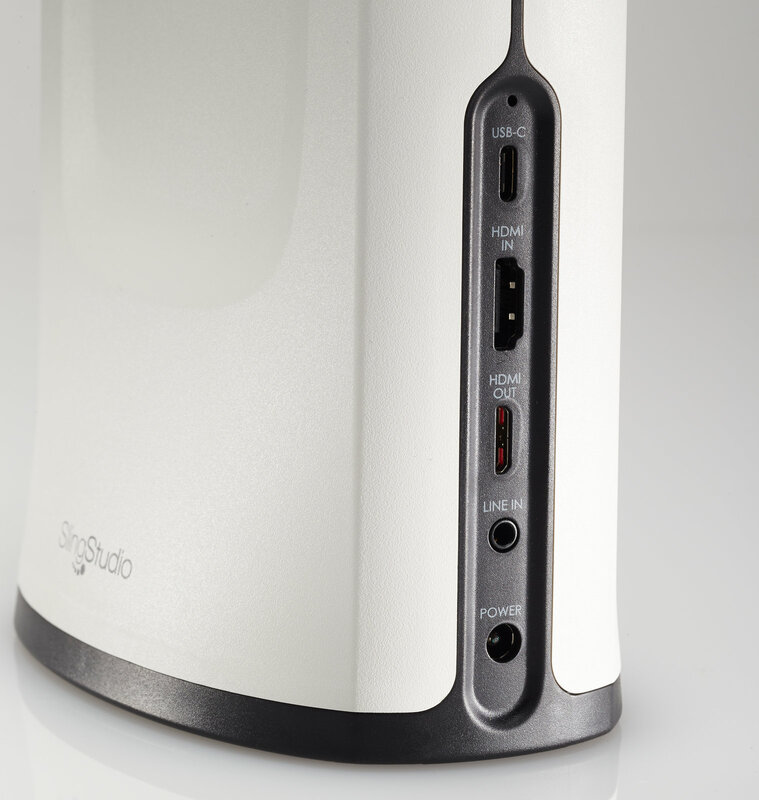 to a single SlingStudio using its private, video-grade Wi-Fi network; Internet connectivity is not required. Elimination of cables dramatically reduces setup time, and allows for cameras to be placed anywhere (within 300 feet of the SlingStudio hub) and easily moved. 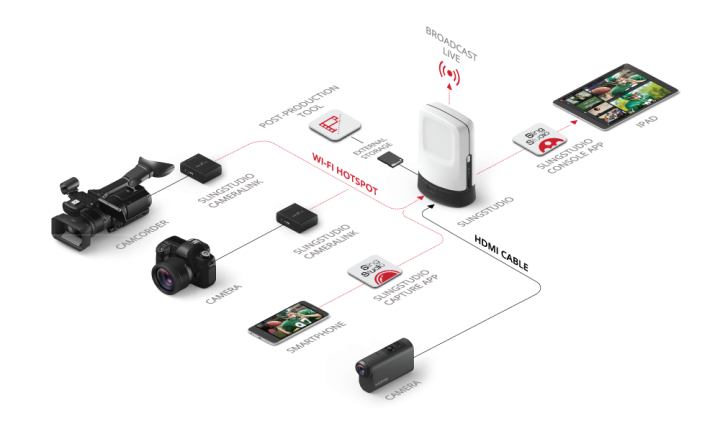 HDMI-enabled DSLR and video cameras connect via SlingStudio’s CameraLink wireless adapter (sold separately) or to SlingStudio’s HDMI input port. Smartphones using iOS and Android operating systems directly connect to SlingStudio wirelessly using the Capture app available for free download in the Apple App Store and Google Play; no CameraLink needed. Post-production: Individual recordings from each camera feed, plus the live-switched video and audio line-in, are saved in a single storage location, eliminating the need to wrangle and import multiple storage drives from each camera. With just a couple clicks of the mouse, the entire project file can then be easily imported into editing applications like Adobe® Premiere® Pro CC and others. 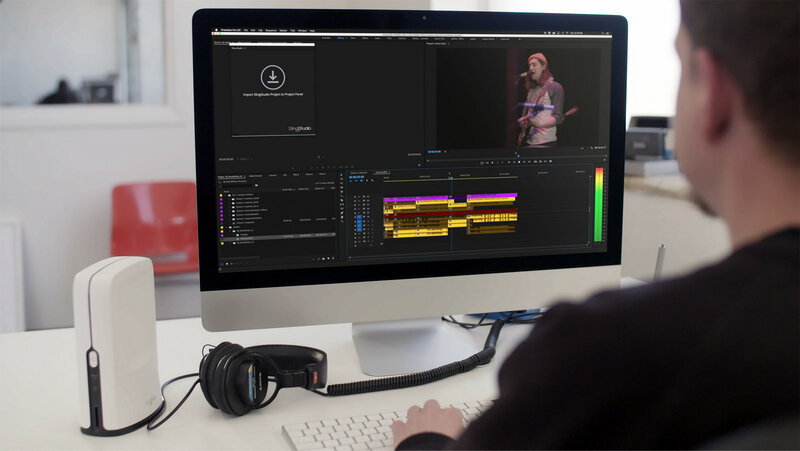 The SlingStudio integration for Adobe Premiere Pro further simplifies and speeds up post-production. Adobe Premiere Pro users who download the SlingStudio extension can import all recordings into a project timeline with all clips and editing decisions preserved and aligned. This includes the video from each source camera, as well as the live-switched program and quad-view feeds. CameraLink for $349: CameraLink plugs into the HDMI port available on most DSLR and video cameras to create a wireless connection up to 300 feet from the SlingStudio hub. 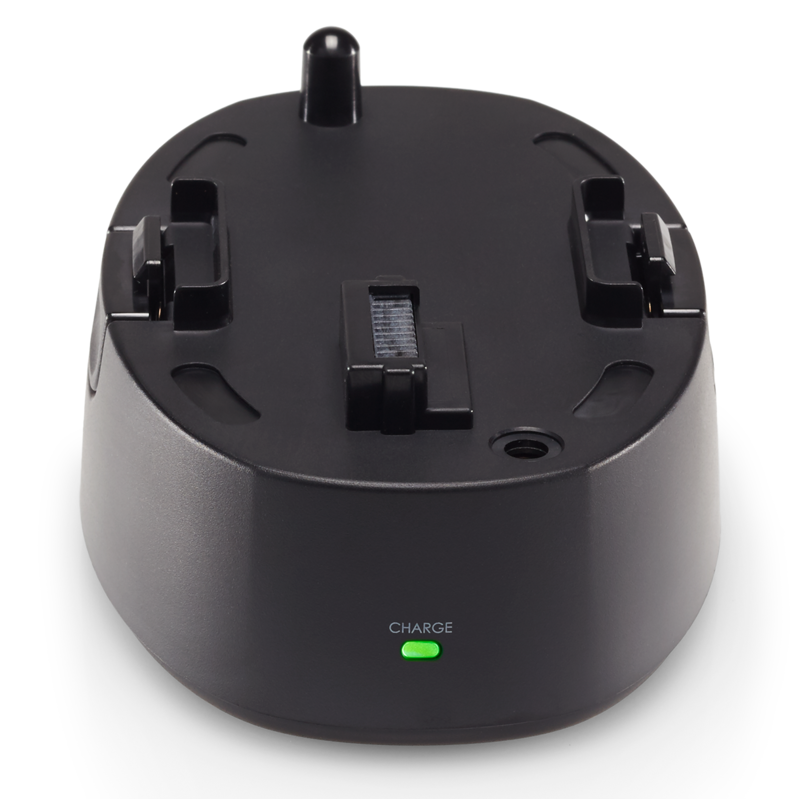 Its internal battery provides up to two hours of power. See supported cameras and devices at MySlingStudio.com/compatibility). 1 x HDMI Type D connector supporting 1080p60, 1080i60, 1080p30, 720p60, and 720p30 video inputs. 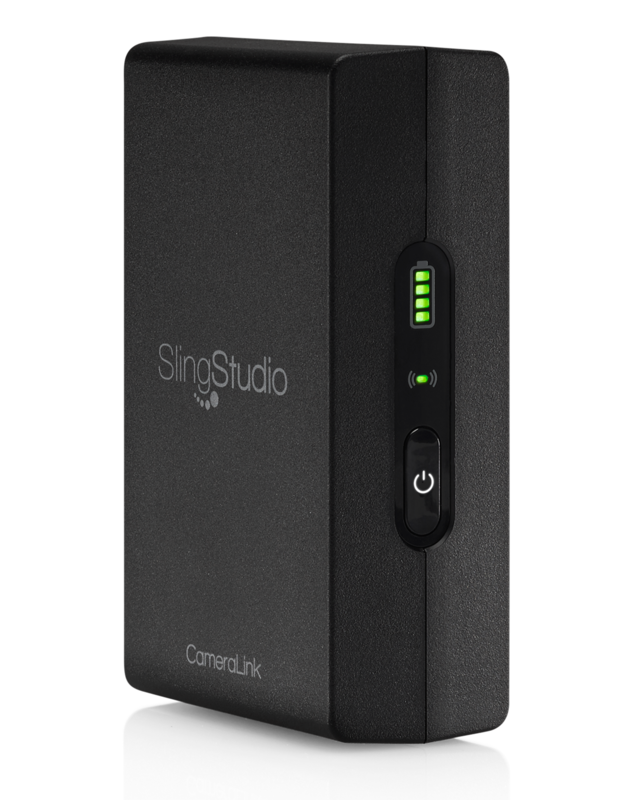 Place an order for the SlingStudio CameraLink ($349) at B&H Photo Video. Battery for $149: The SlingStudio Battery provides up to three hours of power for portability. Lithium-ion 11.1 V, 7350 mAH battery with 4 hours charging time (via power supply included with SlingStudio). Operating temperature: 32ºF to 95ºF (0º to 35ºC). Weight: 1.34 lbs (610 g). Place an order for the SlingStudio Battery ($149) at B&H Photo Video. USB-C Expander for $49: The USB-C Expander supports wired Gigabit Ethernet connectivity for live broadcasting, and connects to USB 3.0 hard drives or SSDs for recording content. Seagate is SlingStudio’s preferred storage supplier. Place an order for the SlingStudio USB-C Expander at B&H Photo Video. SlingStudio starts at $999 and will be available in May at B&H Photo Video, the leading retail source for videographers, or directly from Sling Media. 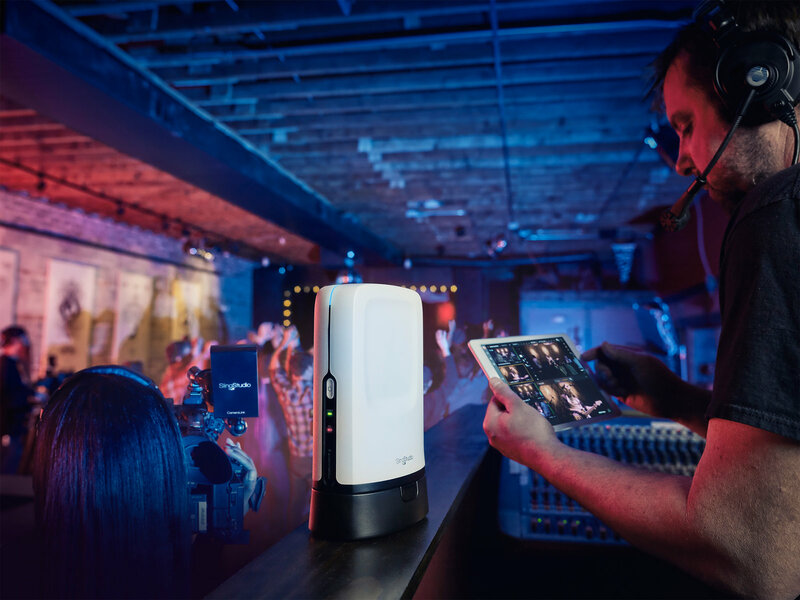 The SlingStudio system enters the market at a significantly lower price point than existing multi-camera video platforms that cost thousands of dollars and often require additional expenses related to compatible equipment and product training. Portable and compact: 1.43 lbs, (H) 7.87” x (W) 5.59” x (D) 3.54” and tripod mountable. 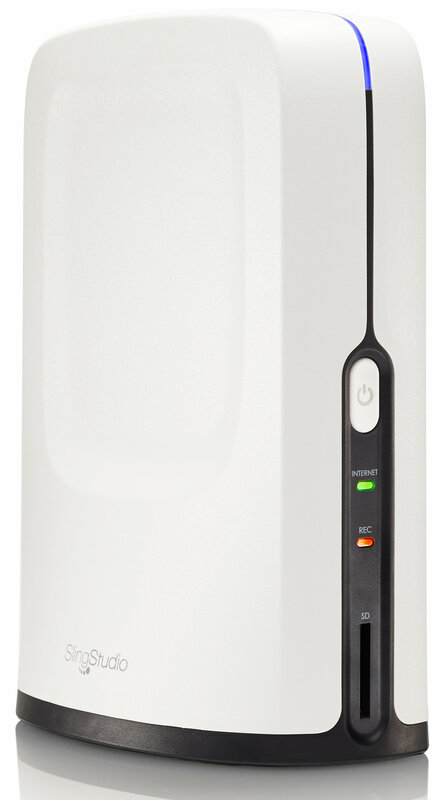 Wireless: 5 Ghz 802.11ac, 4×4 MIMO, specially tuned video-grade Hotspot to connect to different video sources; dual-band 2.4 Ghz and 5 Ghz 802.11ac client mode to connect to Internet for live streaming. 1080p HD multi-camera recorder: Up to six simultaneous recordings. Includes four video inputs, live-switched program and quad-view of input, plus a separate audio line-in input recording. 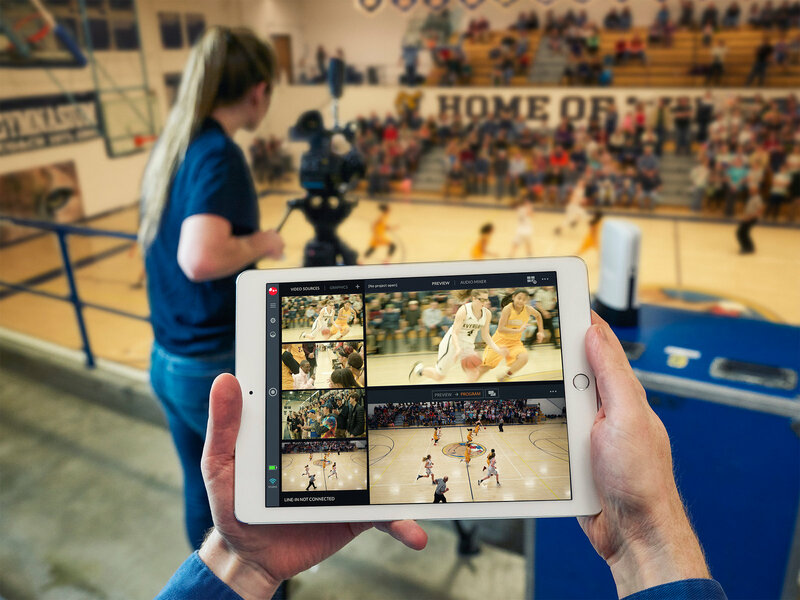 Multi-camera live monitor and switcher: Monitor up to four video sources and switch between 10 different video sources using the Console app for iPad. Professional grade video: High-definition resolutions up to 1080p60 at 30Mbps (using H.264 encoding) with the ability to effortlessly synchronize audio and video. Live broadcasting: Simultaneous recording and live broadcasting of program output. Max bit rate for live streaming is 8 Mbps (input source bit rates up to 30 Mbps). Supported platforms currently include Facebook Live and YouTube. Support for other content-sharing websites is coming soon. Ports: USB-C, HDMI video input, HDMI video output, audio line-in. Storage: Storage via SD or USB-C drives. Optional USB-C Expander available to connect USB 3.0 drives. 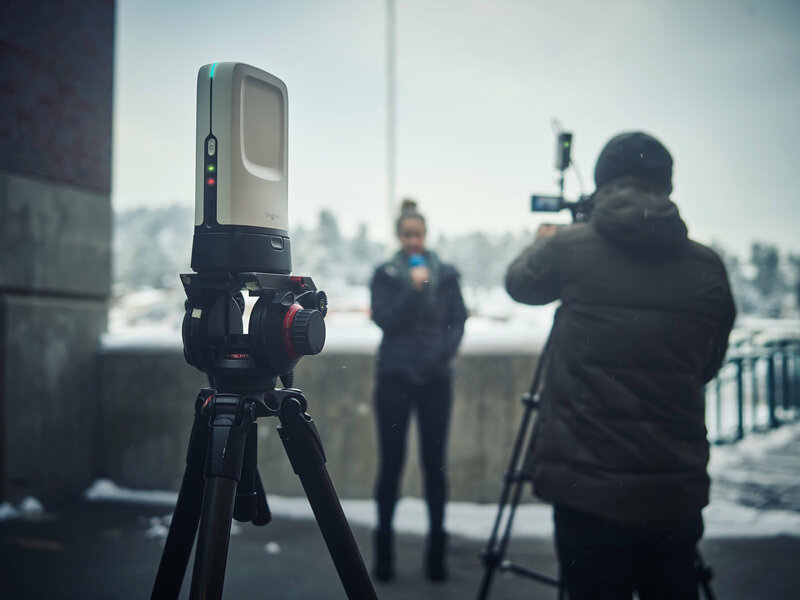 Device compatibility: SlingStudio hub compatible with iOS and Android smartphones via the Capture app, and HDMI-enabled DSLR and video cameras connected to a CameraLink or via the direct HDMI input. An Apple iPad is required to operate the Console app. 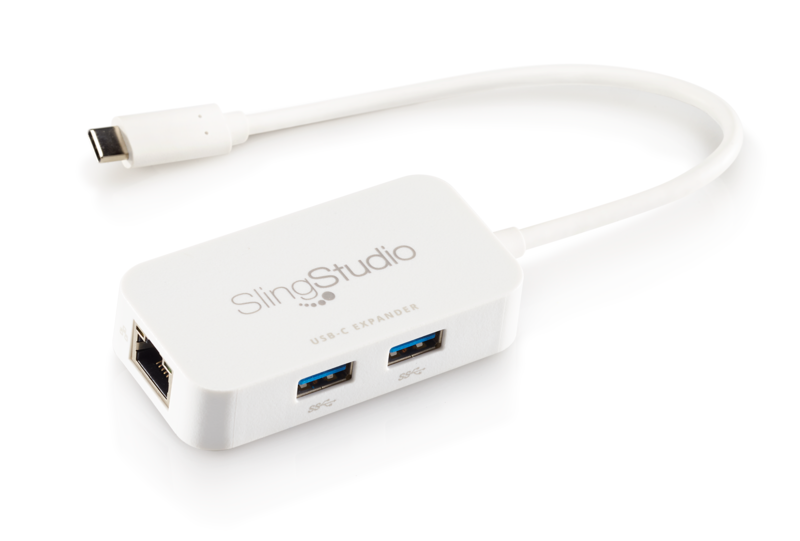 For a complete list of compatible devices, visit www.MySlingStudio.com/compatibility. 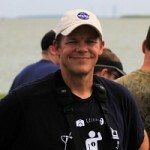 For more information, or to sign up for news alerts, visit www.MySlingStudio.com.